Those are some fabulous looking potatoes Linda! 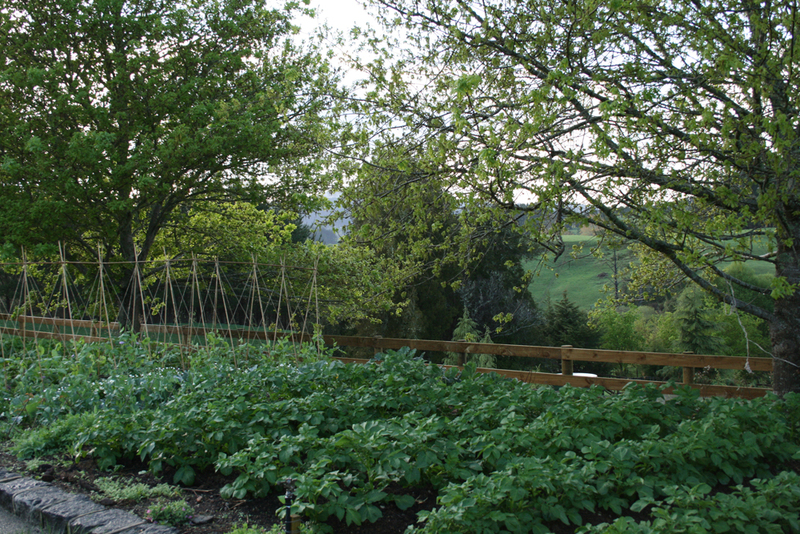 Very jealous, as yet we have not had a lot of success with potatoes or tomatoes here in Wanganui. Can’t believe you managed to plant that many gladdies in one day (read in Get Growing), are you able to tell me if I can plant all the little tiny bulblets off of gladdies grown last year and if so, would they flower this year? Wow, what a wonderful looking vegie garden you have. Here in the Deep South my potatoes aren’t even showing through yet, the peas we planted a while ago are really struggling because of multiple frosts lately and the only way i can grow lettuce just now is in the tunnel house. I do so love the South but I must say living north certainly has some advantages! Oh to have a big country garden!!!. 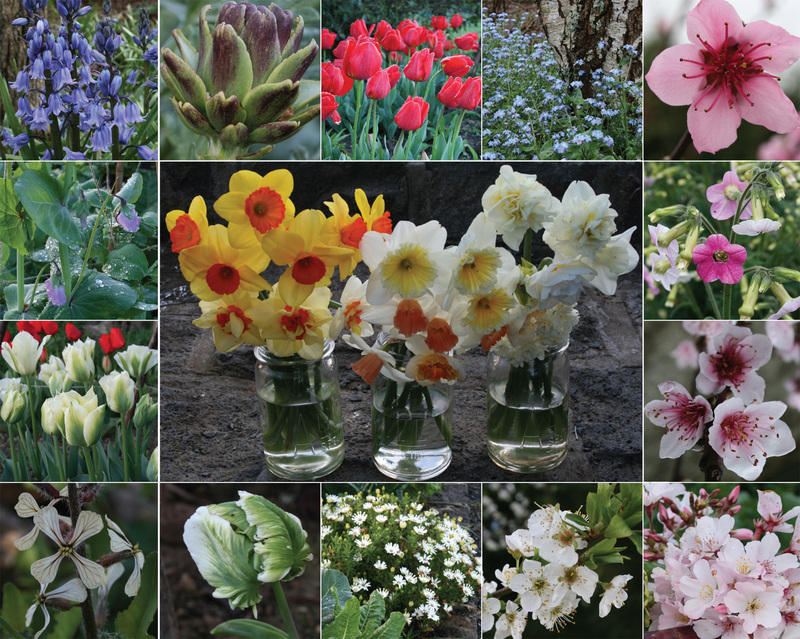 Your garden must be a real picture. We have a lot of colour in our small suburban garden, and our vegetables are mainly in tubs and buckets, washing machine bowls etc. Our potatoes are grown in polystyrene boxes (discarded from Countdown ), and they are growing well. We actually had 3 meals of new potatoes last week, as I had no more bought ones. They were Jersey Benne,and delicious!!. We have grown our strawberries in a couple of old baths for the last 5 years, with pine needles as mulch.We have our chard / silverbeet interspersed in flower gardens. —- Arctotis, daisies, Felica, cinararias, bluebells ,forget-me- nots, dutch irises, arum lillies are a few of my flowers that come to mind. Camelias and cherry blossom, fosythia, peach, apple, chinese lantern (apricot ) and Genesta( Little Imp ) are also flowering well. Look forward to ‘Homegrown Flowers’. Must get ordering. Thankyou Lynda for sharing your garden with us all. Hi Linda, and thank you so much for allowing us to enjoy your garden. I am most impressed, and with a wee baby to look after too. The strip down the edge will look lovely with the wild flowers and should bring all kinds of beneficial insects too. Or thats what you could tell the “man of the manor”. Spring is such a beautiful time. Here in Waikanae the camellias are all but finished, rhodos are flowering madly, and there are just a few roses out. Lovely, lovely, and they all look so happy and healthy after a morning of showers, and now bright sun. How can you not enjoy the garden? Wow, your garden looks wonderful, mine is not looking as good, I envy all your space. May your growth continue. Your asparagus sounds terrific. “Good Growing. 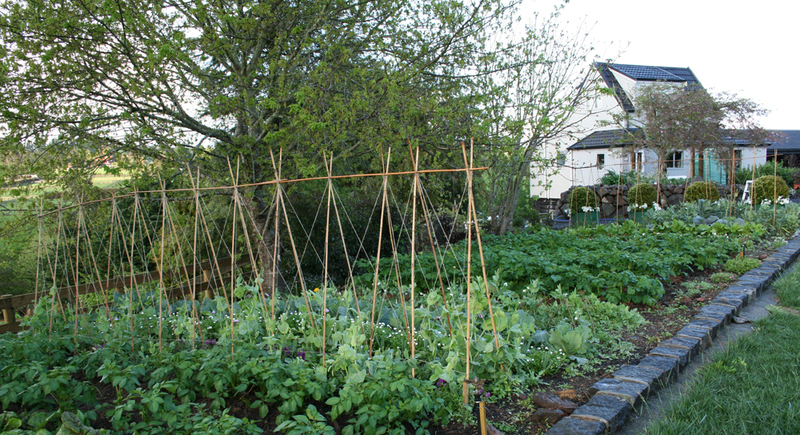 What a beautiful veg garden, im really jealous, ive never been good at growing fruit and veg. I would love to have a setup like this.